Preston, R.J.. "Franz Boas". The Canadian Encyclopedia, 05 March 2018, Historica Canada. https://www.thecanadianencyclopedia.ca/en/article/franz-boas. Accessed 19 April 2019. Franz Boas, anthropologist, ethnologist, folklorist, linguist (born 9 July 1858 in Minden, Westphalia, Germany; died on 21 December 1942 in New York City, NY). Franz Boas, anthropologist, ethnologist, folklorist, linguist (born 9 July 1858 in Minden, Westphalia, Germany; died on 21 December 1942 in New York City, NY). Boas deeply influenced the direction of anthropological methods in the study of human culture in Canada and the United States. 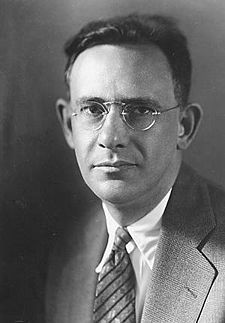 He is heralded as the “Father of American Anthropology,” having taught a number of influential thinkers in the discipline, and is credited with theorizing several foundational methods for studying and understanding human cultural expression and variation. Boas was born the son of Germanic Jewish parents, and showed an interest in polar exploration from an early age. His fascination with natural history developed as a popular interest in arctic discovery swept Europe in the late 19th century. He graduated with a PhD in physics in 1881 from the University of Kiel with great honour, minoring in philosophy and geography. Soon after, he began to plan scientific research in the Arctic Circle. This fieldwork followed the first International Polar Year (1882–83), which culminated in a coordinated effort among other European states to establish stationary research in the Arctic, and also study the culture of Aboriginal peoples of the Arctic. Before he could conduct his research with the Baffin Island Inuit, Boas was required by law to complete military training in Germany, as were all men of age to serve in the armed forces. In June 1883, at the age of 24, Boas left Germany and embarked on a year of ethnographic research with the Inuit of the Eastern Arctic Archipelago. For many years, Franz Boas reigned at the hub of American professional anthropology. He was a pioneer in the field of anthropology and continues to influence to the methods of cultural anthropology, in particular. He is celebrated for his research and teaching accomplishments, and acted as a mentor to many prominent anthropologists in the 20th century. Among them were some of the first women to earn high achievements in the field of anthropology — cultural anthropologists Margaret Mead and Ruth Benedict being two notable examples. Edward Sapir was also a student of Boas, and was responsible for the earliest efforts to map Indigenous languages of the Pacific Coast of Canada. Boas was also a vocal critic of European cultural superiority — an ideology that was popular justification for imperialism in the late 19th and early 20th century. He worked tirelessly and effectively to move the public away from a belief in scientific racism, towards a conception of cultural variation as the basis for explaining significant human difference. When Boas left Germany in June 1883, he embarked on a journey to Cumberland Sound to conduct geographical and ethnographic research among the Baffin Island Inuit (1883–4). This fieldwork revealed that cultural expression is more than just a matter of geography — people form symbolic belief systems around their physical landscape. Boas’ Arctic journals are significant documents in Canadian history, recorded at a time when the rapid changes of Canadian industrialization influenced the relationship between Indigenous people, settler populations and the land. They also reveal the development of his method of inquiry during an early stage of his professional growth as an anthropologist. His fieldwork shifted in 1886 to the Northwest Coast Aboriginal peoples. He continued to document his experience with Indigenous languages, artistic traditions, and cultural variation. Franz Boas, “Ethnological Problems in Canada,” The Journal of the Royal Anthropological Institute of Great Britain and Ireland, vol. (1910): 529–39; The Mind of Primitive Man (1938, rev. 1965) and Race, Language, and Culture (1940). George Stocking, Jr., "Franz Boas and the Founding of the American Anthropological Association," American Anthropologist vol. 62, no. 1 (1960) and Race, Culture, and Evolution: Essays in the History of Anthropology (1968). Adam Kuper, The Invention of Primitive Society: Transformations of an Illusion (1988). Franz Boas and M. Ludger, Franz Boas Among the Inuit of Baffin Island, 1883–84: Journals and Letters (University of Toronto Press, 1998).Douglas Cole, Franz Boas: The Early Years, 1858–1906 (1999). Herbert Lewis, "The Passion of Franz Boas," American Anthropologist vol. 103, no. 2 (2001): 447–67. 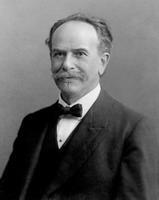 Alexander Lesser, "Franz Boas," in Totems and Teachers: Key Figures in the History of Anthropology, ed. by Sydel Silverman (2004). Brad Evans, "Where Was Boas During the Renaissance in Harlem? Diffusion, Race, and the Culture Paradigm in the History of Anthropology," in Central Sites, Peripheral Visions: Cultural and Institutional Crossing in the History of Anthropology, ed. by Richard Handler, 69–98 (Madison, WI: University of Wisconsin Press, 2006). Igor Krupnik and Ludger Müller-Wille, "Franz Boas and Inuktitut Terminology for Ice and Snow: From the Emergence of the Field to the ‘Great Eskimo Vocabulary Hoax,’" in SIKU: Knowing Our Ice: Documenting Inuit Sea Ice Knowledge and Use, ed. by Igor Krupnik et al, 377–400 ( London: Springer Netherlands, 2010). INDIANA UNIVERSITYThe Archives of Traditional Music at Indiana University holds a large collection of Boas's audio recordings of his ethnographic fieldwork.